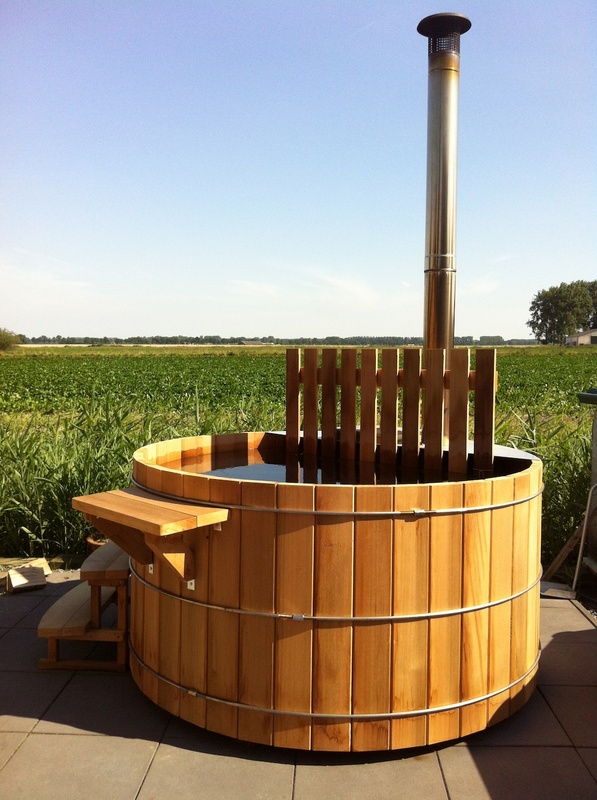 More and more Britons are decking their back gardens or paving the way for outdoor hot tubs. The craze for outdoor bathing was highlighted in a survey of 2,000 homeowners carried out by OnePoll for Lloyds TSB Insurance, which found that 10 per cent of respondents now owns a hot tub. The report also found that people are furnishing their outdoor spaces with increasingly expensive summer houses, garden furniture and play equipment. More than half of households use their garden as a place to relax as opposed to cultivating vegetables and plants. Hot tubs have been in the UK since the 1970s, with the craze for outdoor bathing having made its way to Britain from Scandinavia via America, but sales have taken off in the last decade. In fact despite our unpredictable island weather, hot tub sales actually increase during the cold weather with people keen to keep warm whilst enjoying outdoor time in the comfort of their own gardens. South West Spas have just launched a wooden hot tub range with wood fired options for a more Scandinavian feel or hydrotherapy hot tubs for an all American style jet-powered relaxation session.